1) We maximize your Return on Investment. 2) We manage your tenants skillfully. 3) We minimize liability obligations and repair expenses. At Phoenix Property Management, we believe and live by ROI with your real estate investment. ROI is an attribute from rental income, vacancy rate, and careful deployment of resources. To deliver on ROI, we must manage the tenants skillfully. This means implementing and enforcing the lease and the law of this state. Know how to navigate this terrain is not easy. 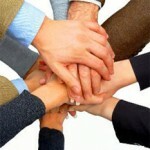 We desire to assist, enjoy, and keep our tenants but we do so within the confines of the lease. Sometime, that means saying NO to something that tenant desires but yet outside of our lease. 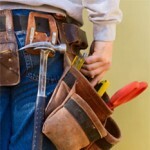 Thirdly, as a landlord and owner of a physical property, repairs are inevitable. To try to operate without a plan to manage and handle repairs is set for failure and anxiety attack. Failure to address repairs that causes inhabitability issues in a timely manner is not acceptable nor is it allowed by NC Landlord and Tenant General Statutes. At Phoenix we believe it is so important and critical to manage repairs timely and cost effectively that we have built a handyman operation to solely support our property management needs. Combining all these know-how and execution above, we believe that we have the best operation to manage your home. Phoenix property management team is made up of professional property managers and leasing professionals dedicated to serving our landlords and partners. We are dedicated to 1) maximize your ROI; 2) manage your tenants skillfully; and 3) minimize liability obligations and expenses. Doing these things well preserves and protects our properties. We have been in business in the Triangles area for over 30 years and pride ourselves on the fact that we build and maintain lasting relationships with our clients. We currently operate our services in Wake, Orange, Chatham, and Durham Counties. To date, we manage over 300 residential homes and several complexes in the Triangle area. We have a proven track record of success and excellence. We specialize in residential homes rentals. 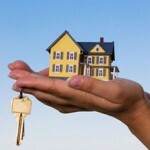 We are a professional group of property managers and leasing agents. We actually have staff on hand to perform the work. Experienced & Skilled Property Managers & Leasing Agents. Experienced with Rental Laws in North Carolina. Minimize expenses with In-House skilled maintenance personnel in general maintenance.